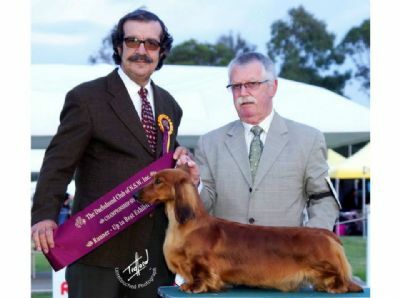 Lyric is our rising star , she gained her Aust Ch title easily and before reaching 18 months - has been awarded Runner Up In Show at the Dachshund Club of New South Wales (August 2013) and the Dachshund club of Victoria (November 2013 ) Championship shows. 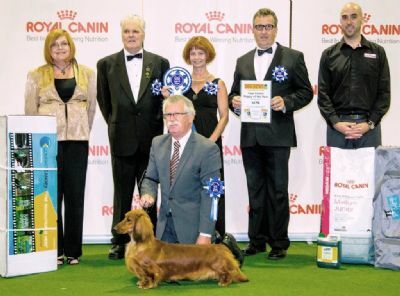 She was also chosen as Victoria's Top Puppy of the Year 2013. 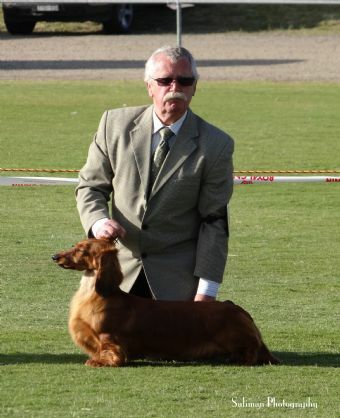 Lyric is by Gr Ch Keaton Rockabilly & her mother is Ch Laurieton Annie's Lace , a combination of excellent Aust, US & UK breeding.